Australia has reinstated race laws that were suspended by the previous government in its campaign against child abuse in Aboriginal townships. Suspending the law three years ago allowed the authorities to restrict how welfare payments to indigenous people were spent, with the aim of reducing the consumption of alcohol and drugs. Indigenous activists and the UN condemned the policy as discriminatory. The intervention powers will now also cover non-Aboriginal people as well. Australia's landmark racial discrimination act was suspended by the conservative government of John Howard, as part of a raft of policies called "the intervention". Despite delivering an official apology to Australia's indigenous people for past injustices soon after taking office, Prime Minister Kevin Rudd had kept in place the main elements of the intervention, but his government has now reinstated the racial discrimination act. The country's indigenous affairs minister, Jenny Macklin, said its suspension was a blight on Australia's international image, and left Aborigines feeling hurt, betrayed and less worthy than other Australians. 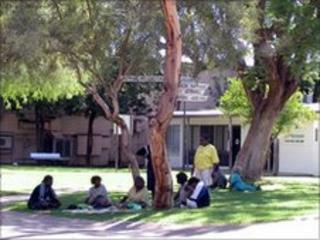 Restrictions on welfare payments not only remain in place but have been extended to non-indigenous Australians in the Northern Territory, a move which now makes the measures comply with the racial discrimination act. So the move, which has little practical effect, has done little to appease indigenous groups, which continue to oppose the intervention.